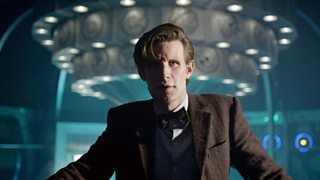 Doctor Who has won two TV Choice Awards, scooping Best Drama Series and also receiving a special Outstanding Contribution Award in honour of the show’s 50th anniversary. The awards were announced and given out at a star-studded ceremony at London’s Dorchester Hotel on Monday, 9th September. The Best Drama Series category was decided by you the audience, so massive thanks to everyone who voted for the Doctor! Congratulations also to David Tennant, the Tenth Doctor, who won Best Actor for his role in Broadchurch, the recent drama series written by Chris Chibnall.